There are few things that cause a greater divide between parents and children than home improvement. Home improvement is dangerous, messy, and often the source of intense frustration, so whataya get when you add kids into your home improvement mix? A surprisingly sweeter home sweet home. Your house is so much more than where you lay your head; it’s a sacred place where cherished memories are made. So why not make even more precious memories working with your kids to help reach your home’s full potential. 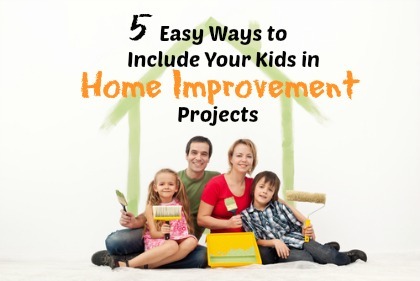 Check out these 5 easy ways to include your kids in your home improvement projects! Since I found the article here I thought that it would be appropriate for me to thank you as well. My kids enjoyed themselves a lot.